High-profile Democrats repeatedly promised the public they would see evidence of collusion between President Donald Trump’s presidential campaign and Russia. But special counsel Robert Mueller’s investigation found no evidence of collusion between the Trump campaign and Russia’s 2016 election meddling, according to a four-page letter that Attorney General William Barr sent to Congress on Sunday. “The Special Counsel’s investigation did not find that the Trump campaign or anyone associated with it conspired or coordinated with Russia in its efforts to influence the 2016 U.S. presidential election,” Barr’s letter states. 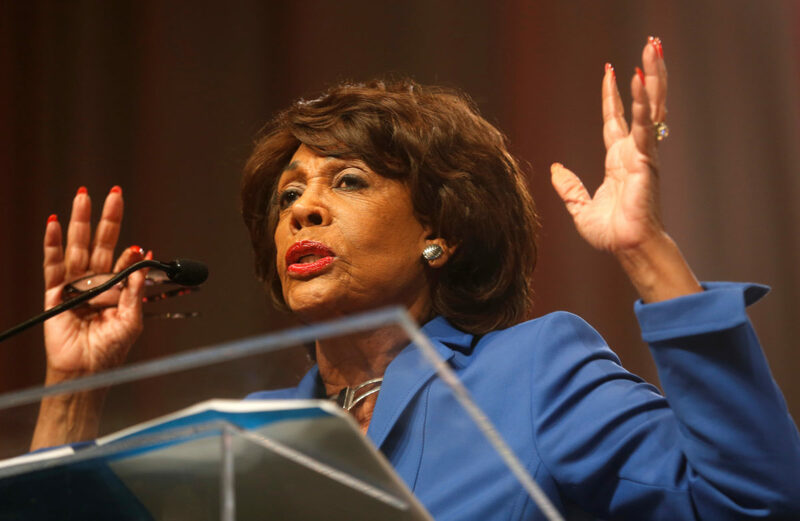 Democratic California Rep. Maxine Waters guaranteed in September 2017 that Trump colluded with Russia. “Here you have a president who I can tell you and guarantee you is in collusion with the Russians to undermine our democracy,” Waters said. Swalwell, Schiff and other Democrats didn’t wait for Mueller to finish his investigation to claim that collusion had already been proven. “The evidence is pretty clear that there was collusion between the Trump campaign and the Russians,” Democratic Connecticut Sen. Richard Blumenthal told MSNBC in February 2018. 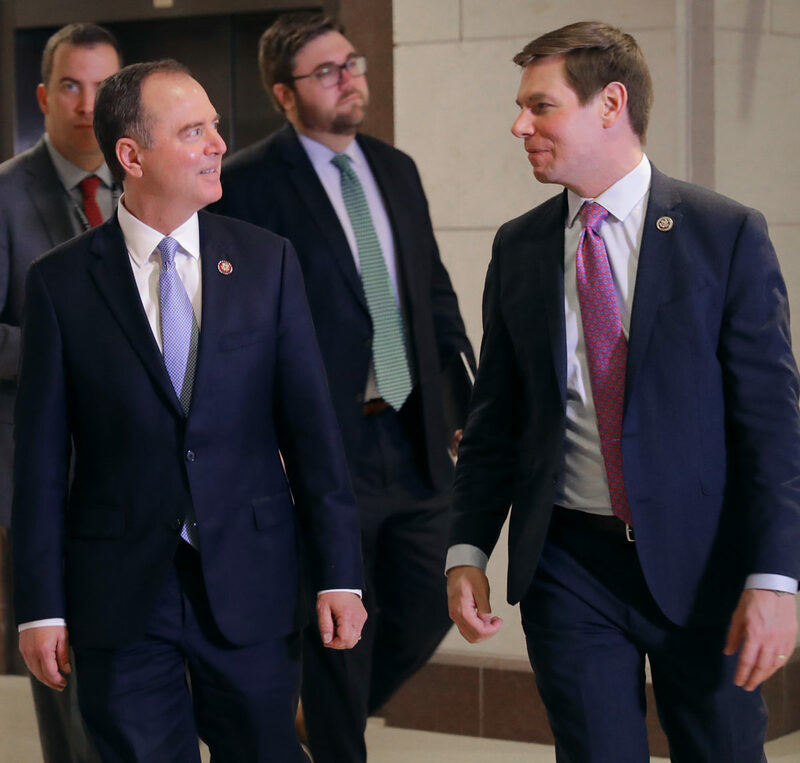 Swalwell in February 2018 published a powerpoint titled “Evidence of Collusion” that failed to include any evidence of collusion. He repeated his assertion of Trump-Russia collusion on several occasions, despite lacking the evidence to substantiate it. Schiff, too, claimed there was evidence of collusion before learning Mueller’s conclusion. “You can see evidence in plain sight on the issue of collusion — pretty compelling evidence,” Schiff declared on February 17. Hours before receiving Barr’s memo on Sunday, Schiff was still defending the collusion narrative. “There’s a difference between compelling evidence of collusion and whether the special counsel concludes that he can prove beyond a reasonable doubt the criminal charge of conspiracy,” Schiff said. “I have trust in [Mueller’s] prosecutorial judgment. But that doesn’t mean, of course, that there isn’t compelling and incriminating evidence that should be shared with the American people,” he added. House Judiciary Committee Chairman Jerry Nadler similarly refused to accept Mueller’s lack of evidence for collusion.